Reasonable adjustments are often simple solutions that are inexpensive and easily implemented – and they usually benefit other children as well. What may appear to be a small change can also have a significant impact on the child’s independence and self-esteem. And above all, the child with vision impairment (VI) can access the curriculum at the same time as their sighted peers. Unless we have walked in the child’s shoes, our understanding is limited of their experience of accessing school life. Vision provides the major route to processing information about the world. It enables an object to be seen quickly as part of an ongoing process or larger whole. It allows understanding of the form, size, shape, pattern, colour and location of an object all in one glance, at one moment in time. The degree to which the child’s learning and development is affected depends on the type and extent of vision impairment. The sense of belonging and a feeling of being included both depend on the adaptations and adjustments made. The student needs specific support strategies to ensure the national curriculum outcomes are accessible and meaningful, with individualised outcomes which reflect their progress. Here are some typical reasonable adjustments. Although the focus is related to students with vision impairment in primary and secondary mainstream settings, many would also be useful to other students with special education needs and disabilities (SEND). Keep lights on in dimly lit areas. Regularly check and replace lights bulbs. Put signage on doors in braille/large print. Fit blinds to classroom windows and repair broken ones to reduce glare. Highlight stair edges, handrails, door handles and doorways with tape of contrasting colour (for example yellow or white). Remove major hazards and obstacles from around the environment. Position contrasting matting at doorways. Facilitate time for forward planning and liaising (build it into class/subject teachers' timetables). Adapt curriculum materials appropriately to enable the student to access the lesson at the same time as their classmates. 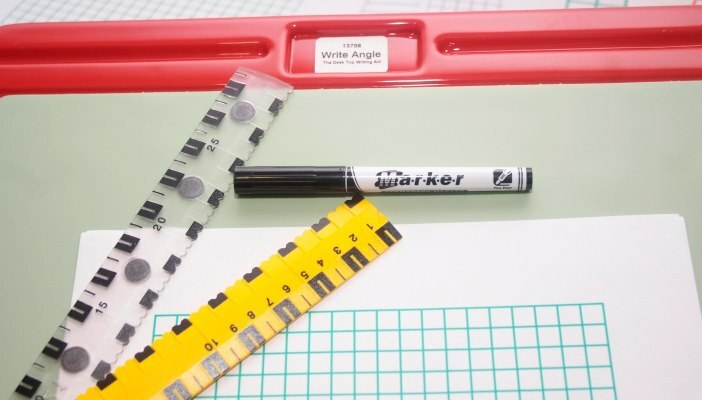 Make sure classrooms have clean white boards and black pens available to increase contrast. Make sure images, words and information pointed to or written on the board are accompanied by a verbal description. Pass around objects being shown to the class for closer first hand observation. Position the student with VI at a suitable distance from yourself and the board that helps them make the most of their vision (if necessary, move the student’s position for each activity). Consider the task that needs to be completed and any reductions to the amount of content to be completed by the student, ensuring the learning outcome is still reached. Make sure any technology requirements are planned for and are put in place before the beginning of the school year. Listen and respond to the student’s voice by using a simple communication system which structures the approach. Positive Eye has developed a resource called the Easy-Easier Posting Box that involves a student deciding whether they find tasks easy or if they would like to find them easier. Their responses are discussed with the teacher and together an action plan is devised based on the tasks they would like to find easier. Share what it’s like to have little or no sight with other children in class through peer awareness activities and discuss ways they can offer help. Do the same with the teaching and support staff. Address all students by name during class discussion and activities. Proactively support social interaction skills – model how to start and maintain conversations, and use circle time opportunities to support development of social skills. Provide accessible school-based information, such as merit certificates, rewards, menus and timetables.